Sid Caesers first performances were as a musician studying saxophone at Julliard. It was during World War II while in the Coast Guard he was assigned as a musician in the service show "Tars & Spars where producer Max Liebman overheard him improvising comedy routines among the band members, and switched him over to comedy. Son of a Yonkers restaurant-owner, Sid Caesar went on to become a comic star in the early days of television and inspire a whole generation of comedians. 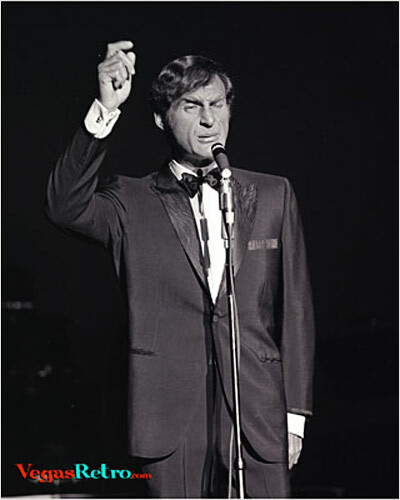 This photo is from an appearance in Las Vegas in 1967.